Insulin Pens Don't Have Ink: School + Blog = Fun Homework? School + Blog = Fun Homework? Sorry I have disappeared from from my blog for so long; I've really had a lot of homework and, unfortunately, school comes before my blog. I've decided I'm going to write ideas in a little notebook for my blog posts and details for the post, so I can actually write stuff on my blog when I have small amounts of free time. You are probably wondering about the title of my post by now, so let me explain. The yearbook committee is making a "Student Spotlight" section and they want me to write about being diabetic. I also have to choose a favorite quote and give them a picture of myself. (Thank cupcakes that they aren't using my yearbook photo... But, that's beside the point.) This section of the yearbook is their midterm, so basically, this piece is super important for them. I'm typing and publishing this on my blog because I fell that I write much better on my blog, and in a less serious, more fun style. So here I go! Hi, my name is Sarah, and I am a type 1 diabetic. I've had type 1 diabetes for almost 9 years now. (I was diagnosed in January of 2004 when I was in kindergarten.) You probably think that this going to be a sob story about the hardships I have faced and how I got over those "walls," but it won't be. Instead, I'm going to tell you a little bit about type 1 diabetes and all of the doors it has opened up for me. Type 1 diabetes is an autoimmune disease caused when the beta cells in the Isle of Langerhans inside your pancreas attack themselves. These beta cells usually produce insulin, a hormone your body makes to convert the carbohydrates from food into the energy you use. Because the beta cells in my pancreas attacked themselves, they no longer produce insulin; this condition is called type 1 diabetes. Remember that those beta cells did not attack themselves because I had eaten too much sugar one day, it happened because it was in my genetic code; remember that before you make fun of a type 1 diabetic. Anyways, because I have diabetes, I have to give myself insulin through an insulin pump. An insulin pump is small cell phone sized device that gives me insulin with a few clicks of a button through a tiny tube inserted into my arm, leg, or stomach (I insert the tiny tube with a small needle, but I take the needle out after insertion and I have to take the tube out every and insert a new one every three days.) My insulin pump has specific ratios used to calculate how much insulin I need according my blood sugar (how many milligrams of sugar are in one deciliter of my blood,) and/or how many carbohydrates I ate. This insulin pump is basically my robotic pancreas because it gives me insulin that my pancreas cannot produce. It is literally a life-saver and because of the fact I have diabetes, I have been introduced to amazing things. Diabetes probably seems quite annoying to you, and it is, but it has introduced me to so many amazing opportunities! 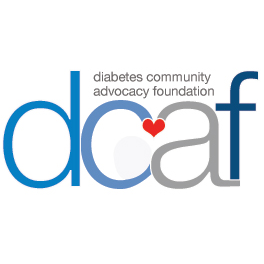 I am part of the DOC (Diabetes Online Community,) an amazing group of diabetics that are there for each other all of the time. To connect with the DOC, I have a blog (insulinpensink.blogspot.com) where I talk about the crazy diabetes-related stuff that goes on in my life, I participate in Twitter Chats with other diabetics every Wednesday, and most importantly: I support other diabetics as they go through hard times. I get to raise money for research for the cure of type 1 diabetes, and as a diabetic, I get to advocate about diabetes as well! I also get to use amazing new technology for diabetics and got to the best camp ever for diabetics. On the other hand, diabetes can be annoying as well. I have to visit the endocrinologist (a doctor that specializes in autoimmune diseases like diabetes and hypothyroidism) every three months. I also have to constantly prick my finger to test my blood, and I have to change my insulin pump site (the little tube) every three days. As you can see, diabetes may be annoying, but it isn't all bad! I may have type 1 diabetes and it may be a permanent condition, but I'm okay with that. I may have to spend a lot of time at the doctor's office, but I don't mind too much. Because of my diabetes, I also get to bond with amazing people and go to a fantastic diabetics only camp! As the awesome blogger Kelly said, "My greatest weakness (my broken pancreas) has become my greatest strength - and for that I am grateful." Well, there is my wonderful piece about being diabetic and etcetera. And yes, Kelly Kunik, your words are probably being permanently printed into my freshman year high school yearbook. Moral of Story: Diabetes has its perks. P.S. That quote is also going to be used as my favorite quote.